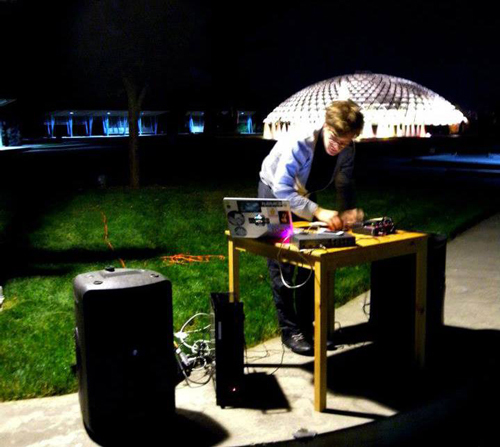 Clint Sleeper and Didier Morelli will explore intersections between sound and the performing body inside a rented U-haul. The event marks the one-year anniversary of Defibrillator’s move to its new space. Through different recording and emitting devices, Sleeper will transform the truck into a reactive and receptive sound environment to (quite literally) bounce off and reverberate. Reflecting on the nature of artistic venues and the impact of artist mobility on the urban fabric, both artists wish to critically engage with the ready-made space of the U-haul as mobile architecture. QUESTION: Is the U-haul the most permanent architecture of a city in transition—particularly in neighborhoods like these (Wicker Park) that have become bastions of gentrification? This roundtable brings together local artists, curators, and academics whose research bridge performance art, architecture, and the urban environment. Their ten to fifteen minute presentations will be followed by an open discussion. QUESTION: What is the place of performance, as a “live”, sometimes interactive and interventionist, medium in (and out) of architecture? How do performance theories and performance practices shape, change, and/or affect space, place, and architecture in urban, suburban, rural, and natural contexts? For his final event, Didier Morelli brings together elements from his two-week residency at the Defibrillator Performance Gallery. Through a series of actions he will work with his moving body, the city’s urban environment, and Chicago’s architectural past, present, and future. Questioning habitual functionalist relationships and spatial-identities through ordinary gestures, Morelli examines how performance (art) and public space intercept and collide. QUESTION: What happens when bodies and architecture meet? How does performance (art) challenge and shape urban public space? What is the place (and space) of performance in architectural and urban discourse? If space is relational, how does performance shift habitual relationships to everyday constructs (sidewalks, streets, light poles, etc.) and is this effective in developing a kinesthetic of awareness and protest? The City in Between is a working installation, series of performances, and a round table conversation, organized by Didier Morelli at the Defibrillator Gallery. With the body in action as his primary subject, all three of these events will focus on the intersections between the urban environment and Chicago’s architectural history. Part of a two-week residency in the gallery during which Morelli will transform, challenge, and question the spatial poetics of both interior and exterior spaces, these three events will offer the opportunity to engage with the ways in which the body can be used to claim urban public spaces and places. Through various architectural constructs (walls, sidewalks, streets, freeways, plazas, light poles, and roofs), Morelli looks to shift habitual functionalist relationships and spatial-identities through ordinary human gestures (crawling, walking, hand-standing, and climbing). These actions become forms of social, political, and aesthetic resistance/disobedience in an age of increased surveillance of codified urban life. During his residency, Morelli will transform the gallery into an interactive think-tank to meet and examine how performance (art) and public space intercept and collide in contemporary and historical discourse and practice. Morelli’s PhD at Northwestern University, in the department of Performance Studies, examines performance artists in dialogue with the built environments of Los Angeles and New York City from 1970 to 1985. Using this two-week period to think about Chicago and how it continues to distinguish itself from these two American cities, Morelli wishes to explore Chicago’s unique architectural history as a site of performative action (socially, politically, culturally, architecturally, geographically, and aesthetically). How and when has Chicago, as the city of modernist and post-modernist mastermindery been the site of spatial dissent? Combining theory and practice, Morelli invites those interested in contributing, discussing, sharing and engaging to contact him directly through his website (www.didiermorelli.com). 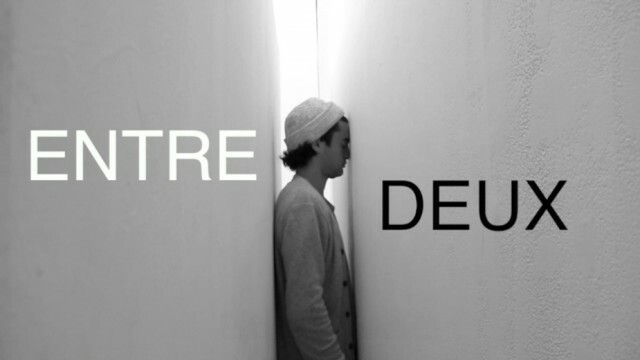 As an interdisciplinary artist, DIDIER MORELLI combines his performance practice with academic research. In 2013 he had a solo exhibition at Katharine Mulherin Gallery (Toronto, Canada). He participated in the 2012 edition of the Scotiabank Toronto Nuit Blanche, at Whippersnapper Gallery, as well as the 2014 edition of the Performance Arcade in Wellington, New Zealand. Based in Chicago, he is currently a PhD candidate in Performance Studies at Northwestern University. My practice addresses the intersections between bodies and space. Connecting with the smooth/rough and the regular/unpredictable flow of life, I attempt to critically reevaluate my environment, time, and the impossible. In doing so, I hope to generate knowledge by engaging in acts that most have discarded as unfeasible, unthinkable, and absurd. The altered point-of-departure becomes an exploration and questioning of physical, social, political, linguistic, and spatial norms. Embodying text and challenging language are fundamental in addressing identity and posing critical perspectives on making and living. Working at the edges of discomfort and vulnerability, I continuously re-evaluate the threshold of my body as it breaks down and rebuilds to become a site for change and exchange. I perform the friction of skin against skin breaking/tearing – my body against architecture – my voice against design. I am always looking to ground my identity and belonging in a place whether it is structural or temporal by juxtaposing site, body and language.